Welcome home to 609 Alger Ave. 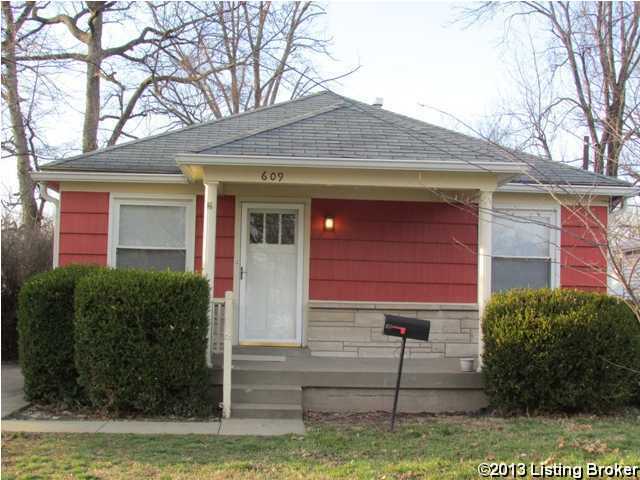 This lovely 3 bedroom, 1 bath home is near Iroquois Park. The living room and the bedrooms feature new carpet and are nice sized rooms. The Eat-in kitchen features ceramic tile flooring and a planning desk. The family room features a wonderful wood burning fireplace. The rear yard features a trex deck. The interior has been freshly painted with neutral colors. Seller will pay up to $3000 in closing costs with full price offer! This house is just waiting for you to make it your home! Call today for your private tour! 609 Alger Ave, Louisville KY 40214 is a Home, with 3 bedrooms which is recently sold, it has 1,560 sqft, 0 sized lot, and Driveway parking. A comparable Home, has 4 bedrooms and 2.5 baths, it was built in and is located at 7500 Saint Andrews Church Rd Louisville KY 40214 and for sale by its owner at $ 325,000. This home is located in the city of Louisville , in zip code 40214, this Jefferson County Home, it is in the NONE Subdivision, and HARDWOOD FOREST are nearby neighborhoods.